It is ironic that today we are all seeking weight loss foods. At the same time all of us across the world eat a lot of junk food or fast food. Most of the times, it is eaten knowingly and sometimes when there is no option. 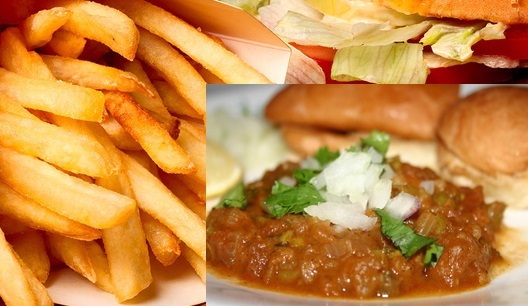 Fast food or junk food is not just pizzas, burgers and the like but also foods like street food available in various parts of the world. We feel that eating this kind of food once in a while is fine. However, this is not true. Persons eating fast food even once a week increase their risk of getting diabetes and heart disease. Eating fast food even once a week dramatically increases the risk of getting diabetes and heart disease. Most of the participants were young, educated and physically active. What this means is that even if you are active, healthy and exercising well, you could get diabetes or related diseases just because you had a pizza, burger or some junk food. Street food is part of this mayhem because it is not cooked in a healthy fashion. Incorrect cooking medium, sub-standard produce, high salt levels & unhealthy ingredients are part of such foods. Even foods that you find in supermarkets and well known branded fast food chains are not healthy. So junk the burgers, pizzas and fried foods, unless you want to die young.